Nwes is pleased to announce a double tender win, which will see the enterprise agency, which is the largest in England, take on the management of the already established Riverside Business Centre in Tilbury and The Reception in Purfleet. The Reception is the provisional name for the new National College Creative Industries building due to open in 2018, at High House Production Park. These new centres with a combined total of more than 50,000 square feet of quality workspace will be added to the growing portfolio of Nwes owned and managed enterprise centres across the East of England. In partnership with Thurrock Council, Nwes will manage the properties for a minimum of three years, commencing at the end of May 2017, bringing their expertise in property management, business support and innovation to the centres to reflect the high aspirations of new and growing businesses across the Thurrock area. Already managing thriving enterprise centres across the East of England, including The Old Courthouse in Grays, and Harlow Enterprise Hub, Nwes offers a wide variety of support to encourage business success and growth, including state of the art workspaces, with coworking, meeting and conference facilities, and virtual office solutions to raise professional profiles. Seniguk Consulting Limited, moved into Harlow Enterprise Hub in late 2016 and is already seeing the benefits of being based in an Nwes-managed property. “It’s a very friendly and professional environment.” Says business owner, Adeola Falako. 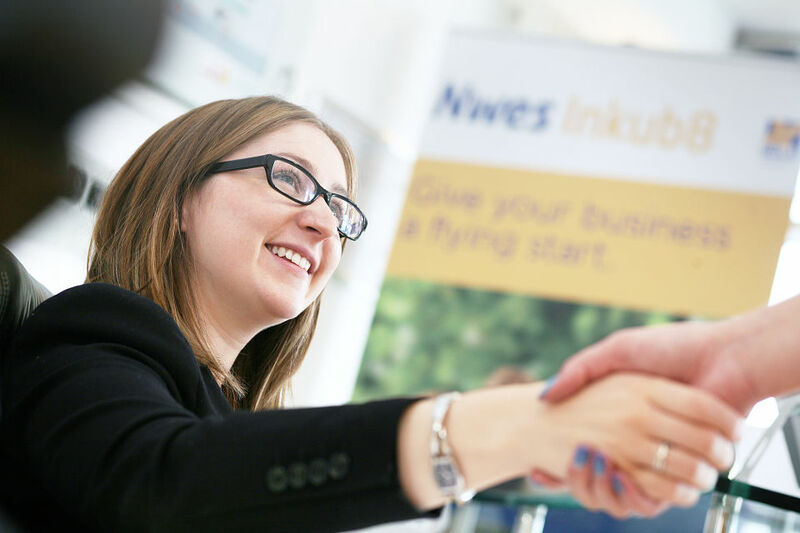 With Tilbury’s Riverside Business Centre already providing a range of offices, studios, workshops and virtual offices, Nwes is relishing the prospect of reaching out to the local business community to support their growth and success, just like Seniguk Consulting Limited. Set by the River Thames, and adjoining the World Cruise Terminal at Tilbury and Tilbury Fort, workshop units at Riverside Business Centre range from 700 to 1,900 sq. ft, along with studio/offices from 230 to 1,650 sq. ft – some delivering incredible views of the river. A new extension on the Riverside site includes 20 new workshops and plenty of parking spaces. The Reception is a new National College Creative Industries building which is in a prime position at the High House Production Park in Purfleet. The centre will provide a mix of office and flexible spaces to support the burgeoning creative and cultural industries at High House Production Park. The unique centre is the result of collaboration by Thurrock Council with the Royal Opera House, Creative & Cultural Skills, National College Creative Industries, The Backstage Centre, Acme Studios, Arts Council England and government departments. Thurrock is situated within the heart of the Thames Gateway, just to the east of London and The Reception, Riverside Business Centre and The Old Courthouse are readily accessible from the A13, with speedy access to J30 of the M25. Strategic Director for Nwes, John Balch says.